KAMPALA- Police has arrested four suspects in connection with dropping anonymous letters demanding for money from the business community within Kampala Metropolitan Policing Area. 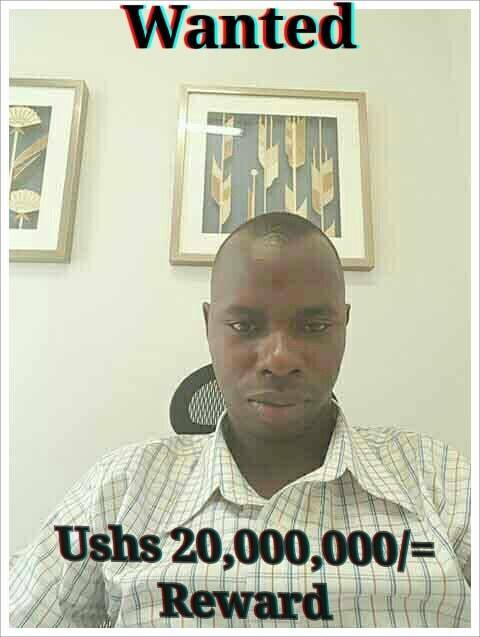 According to police, the suspects arrested work under a group called “The People’s Agency” led by a one John Mwanje a.k.a Brandon a.k.a Brian, who Police has issued a reward of Shs20,000,000 (twenty million shillings only) to anybody that can provide useful information leading to his arrest. Other members of this group include; Kenneth Sebaggala resident of Nansana, John Bosco Kimera who stays in Sweden, Douglas Kakande a.k.a Darion resident of Masanafu, Herbert Mwanje, Allan Kitonsa and Herbert Muwonge, a Safe boda rider who was being used to deliver these letters. Police say one of the suspects Hakim Kigozi was arrested as security agencies were in an operation to cab down a group of panga-wielding thugs who attacked and injured Indian investors at a metal fabrication factory at Kabembe who robbed 100millions and other valuables. Upon arrest, Kigozi, a resident of Nansana revealed names of his colleagues who had planned to attack and rob sand mining businessmen in Lwera led by Medi Kawooya. Patrick Onyango, the Police Deputy Spokesperson says the group is believed to be comprised of criminals that were circulating threatening letters to the business community. Onyango said that a group of criminals delivered intimidating messages to investors and demanded for payment of money in foreign currencies ranging from USD 30,000 to USD 45,000 within a period of three months. He warned all boda-boda riders to always mind the packages they are given to deliver. “The entire public especially the boda-boda riders are called upon to be cautious especially when it comes to delivery packages given to them by strangers. We implore the riders to always note down active phone contacts and take photographs of the sender in case they are not given a chance to check the contents of the packages,” said Onyango. He urged the public to always alert the nearest police station in case a suspect is sighted in their areas through a toll-free number 0800200009.